Museum Series Claybord™ is made using 1/8" true artist hardboard and features Ampersand’s simply amazing kaolin clay ground formula similar in paint ability to the clay gesso grounds used during the Renaissance. The surface is sanded to an ULTRA-smooth, highly absorbent finish so your paint colours remain true and brilliant. Work the surface by thinly applying paint or ink, then remove it, reapply it, even scratch through it to add contrast, texture and fine details. Claybord is a favourite of both fine and graphic artists. Only Ampersand builds their cradles by hand with premium grade 13-ply birch plywood for maximum stability and a clean, finished look from edge to edge. Choose from 1/8", 7/8” and 1.5”Deep, all made in the USA. 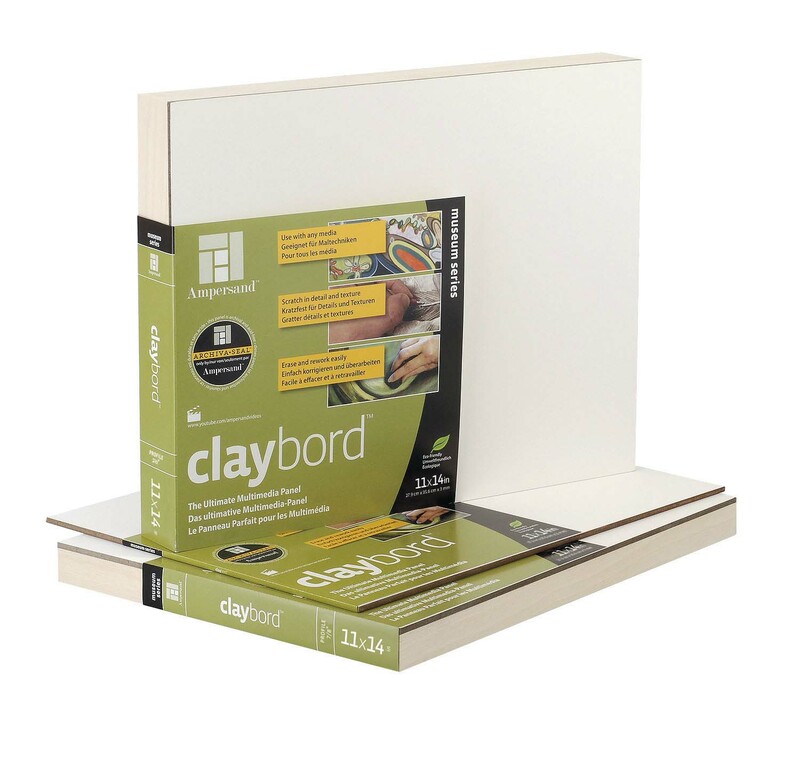 £8.71 Claybord 11x14 - 1/8"
£10.46 Claybord 12x16 - 1/8"
£19.79 Claybord 18x24 - 1/8"
£2.63 Claybord 5x7 - 1/8"
£4.71 Claybord 8x8 - 1/8"